Make your Valve Junior a Valve Major. 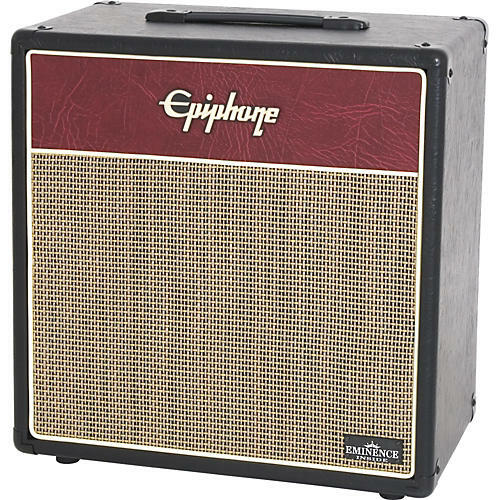 Featuring birch plywood construction, superior audio design, and cool retro looks, the Epiphone Valve Junior Extension Cab is the perfect match for Epiphone's Valve Junior Head. The cab is equipped with a custom designed, 16 ohm, 12" Eminence Lady Luck Speaker rated for 70 watts RMS.